Firewire Adapter with 6 Pin Male Connector. 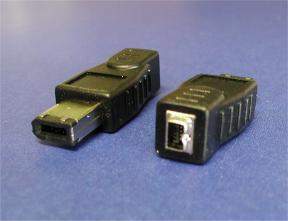 And a 4 Pin Female Connector. Works for Apple Ilink and Sony Firewire and all other 1394a Specifications. Premium Quality Molded Adapter with Gold plated contacts.